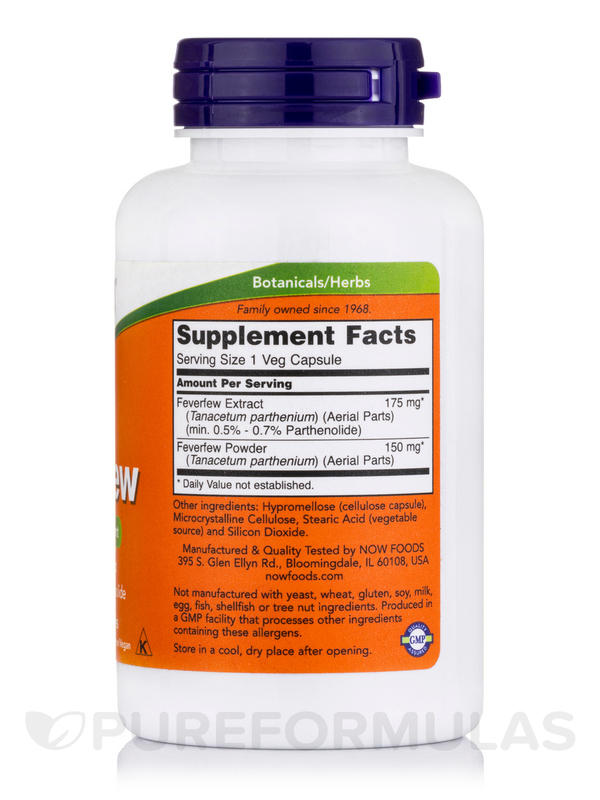 Feverfew is an herb that has been traditionally used by European herbalists for centuries. 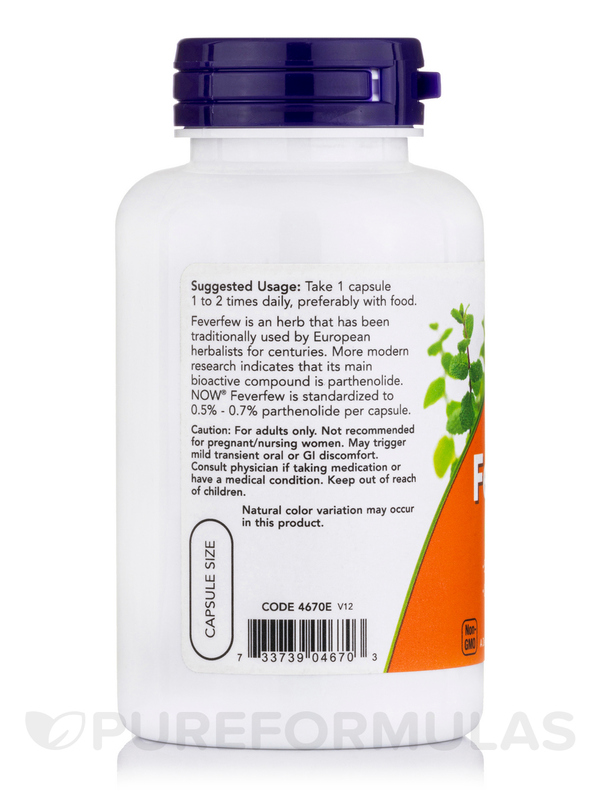 More modern research indicates that its main bioactive compound is parthenolide. 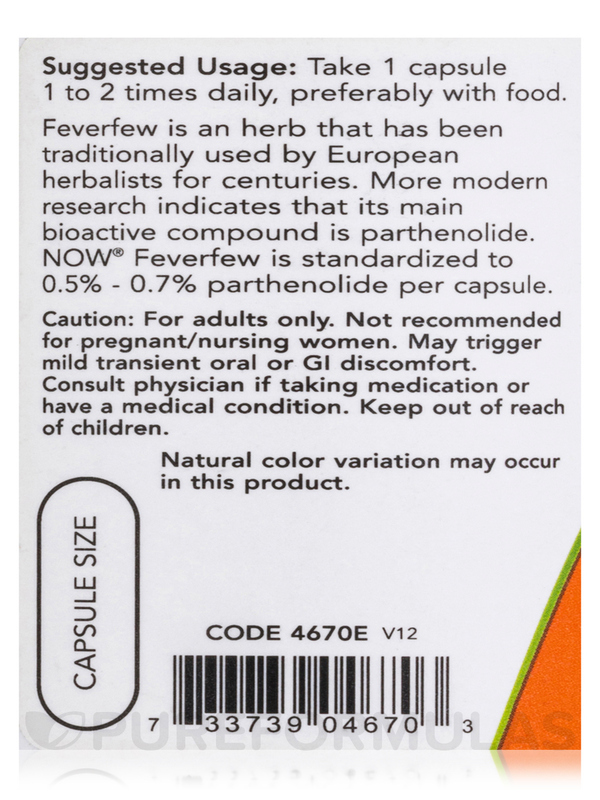 NOW® Feverfew is standardized to 0.5% - 0.7% Perthenolide per capsule. 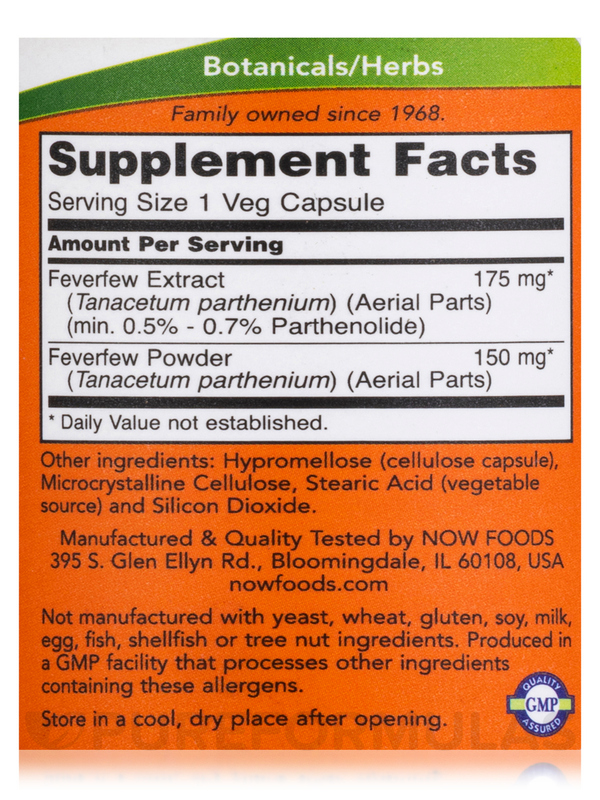 Other Ingredients: Cellulose (capsule)‚ cellulose powder‚ magnesium stearate (vegetable source)‚ silica and stearic acid (vegetable source). May trigger mild transient oral or GI discomfort. My osteopath recommended Feverfew by NOW for my chronic migraines, stomach aches, and menstrual problems. I chose NOW Foods brand because of their price and because they label allergens clearly. When I tried a feverfew capsule, so much gas swelled up that my stomach was hard as a rock. The gas pressure accumulated and resulted in a migraine and I felt like I was going to explode. 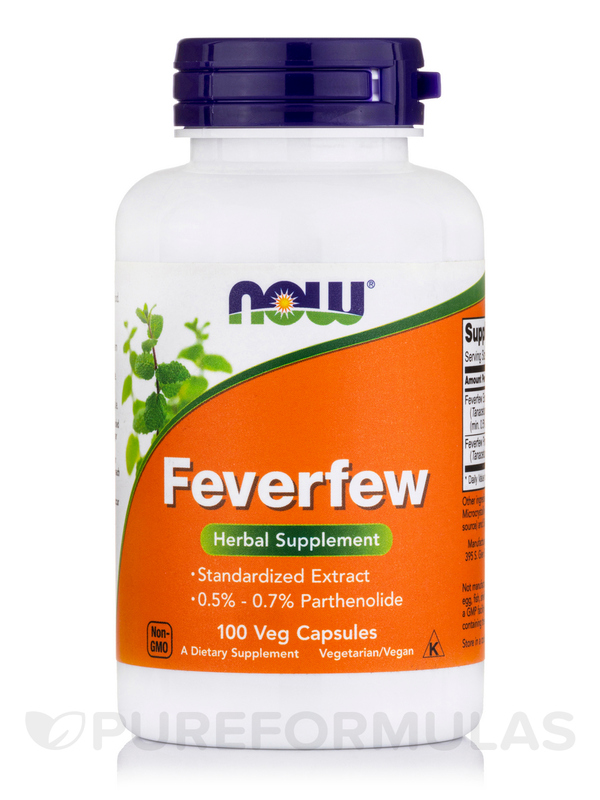 It's unfortunate that my body had an adverse reaction, because feverfew's touted uses are exactly what I needed. But, at least this product really does something. I believe it could definitely work for someone with a stronger stomach! Clear labeling of allergens, price. Smells funky, gas and bloating.